“The Hobbit: The Desolation of Smaug” is an epic fantasy adventure film co-written, produced and directed by Peter Jackson. It is the second installment of a three-part film series based on J. R. R. Tolkien's 1937 novel The Hobbit, beginning with An Unexpected Journey (2012) and set to conclude with There and Back Again (2014). The three films together act as prequels to Jackson's The Lord of the Rings film series. The original motion picture soundtrack album to “The Desolation of Smaug” will be released on December 10; it will be available in both a Standard Edition and a Special Edition. The film hits North American theaters on December 13. 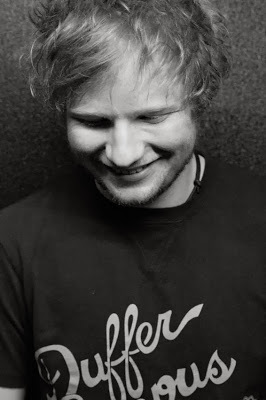 Sheeran is planning to release a new album in 2014.